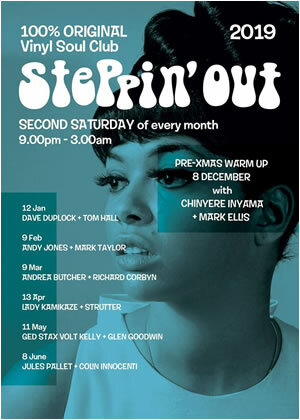 Steppin' Out launches the festive season! Oh yeah! 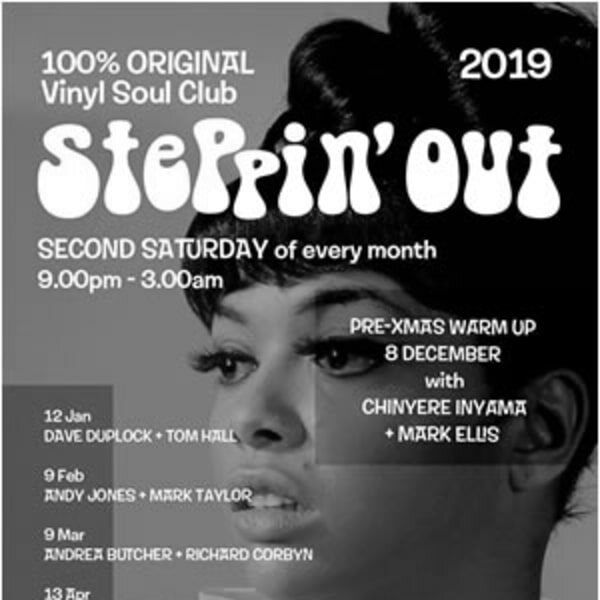 Host DJ JD is delighted to be joined by a coupla exceptional in-demand talents: Chinyere Inyama (DJ'C') + the globetrotting Mark Ellis. You're gonna love their work! Original Vinyl Only Rhythm & Soul beauties! Neat treat for dancin' feet! Rare, Northern & Deep Soul, Vintage Rhythm & Blues, Motown, Boogaloo & Mod Jazz!